The goal of structural design is to determine the number, material composition and thickness of the different layers within a pavement structure required to accommodate a given loading regime. This includes the surface course as well as any underlying base or subbase layers. This section is focused on the structural design of new pavement. Structural design for rehabilitation is covered in Maintenance & Rehabilitation. Structural design is mainly concerned with determining appropriate layer thickness and composition. Calculations are chiefly concerned with traffic loading stresses; other environmentally related stresses (such as temperature) are accounted uset for in mix design asphalt binder selection. The principal methods of structural design in use today are (from simplest to most complex) catalogs, empirical and mechanistic-empirical. The simplest approach to HMA pavement structural design involves selecting a predetermined design from a catalog. Typically, design catalogs contain a listing of common loading, environmental and service regimes and the corresponding recommended pavement structures. State and local agencies often include them in their specifications. The pavement designs within these catalogs can be based on a number of different design methods ranging from mechanistic-empirical to historical experience. When using a design catalog, it is important to be aware of the author’s assumptions and design procedure. Often assumptions and design procedures are based on extremely local conditions, which may not be transferable. 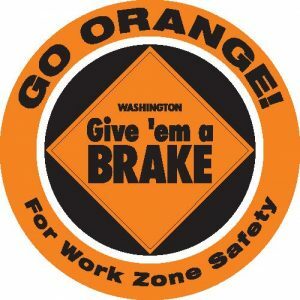 For instance, basic Snohomish County structural designs may not be appropriate for Spokane County and vice versa. WAPA Pavement Note on Design Catalogs See the WAPA Design Catalog for recommended structural designs. Often the required level of design does not warrant the use of advanced equations or models. For instance, a local residential road subject to only a few heavy loads per week (i.e., school bus, garbage truck) does not warrant the expense and time of a mechanistic-empirical design approach. However, many cities, counties and private owners do not have specified standard pavement structural designs. 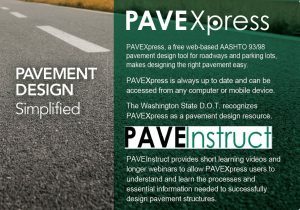 WAPA Pavement Note on Empirical Design WSDOT uses the 1993 AASHTO Guide for Design of Pavement Structures method for new HMA pavement design. The most common empirical design method is the equation contained in the 1993 AASHTO Guide for Design of Pavement Structures (view he equation here). This equation was developed from experimental data at the AASHO Road Test, a $27 million (1960 dollars) road experiment conducted in Ottawa, IL from 1956 – 1961. The AASHO Road Test was a complex study of the performance of highway pavement structures of known thickness under moving loads of known magnitude and frequency (Highway Research Board 1961). The test studied both portland cement concrete and asphaltic concrete pavements, as well as certain types of short-span bridges. The resultant design equation remains a popular method for pavement structural design. WAPA Pavement Note on Mechanistic-Empirical Design WSDOT uses a mechanistic-empirical software package for pavement rehabilitation structural design. This software package, called the Everseries Pavement Analysis Programs (Sivaneswaran, Pierce and Mahoney, 2001) can be downloaded for free from: http://www.wsdot.wa.gov/fossc/mats/Apps/EPG.htm. Along with this mechanistic approach, empirical elements are used when defining what values of the calculated stresses, strains and deflections result in pavement failure. The relationship between physical phenomena and pavement failure is described by empirically derived equations that compute the number of loading cycles to failure. A mechanistic-empirical approach can also accurately characterize in situ material (including subgrade and existing pavement structures). This is typically done by using a portable device (like a FWD) to make actual field deflection measurements on a pavement structure to be overlaid. These measurements can then be input into equations to determine the existing pavement structural support and the approximate remaining pavement life. This allows for a more realistic design for the given conditions. The Mechanistic-Empirical Pavement Design Guide (MEPDG) is the most well-known mechanistic-empirical design method. Although it has yet to be widely adopted, it most likely will be within the next decade. Expert knowledge is required to use mechanistic-empirical approaches; a pavement design expert should be consulted if you are considering its use.